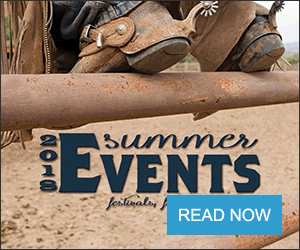 “The robotic cattle driver developed by Cargill is a major innovation in the handling and welfare of farm animals,” said Temple Grandin, professor of Animal Sciences at Colorado State University. WICHITA, Kan. — Cargill has developed an industry-first robotic cattle driver aimed at improving animal welfare and employee safety. The robots are designed to move cattle from pens to the harvest area, reducing stress to the animals by minimizing their proximity to human activity. 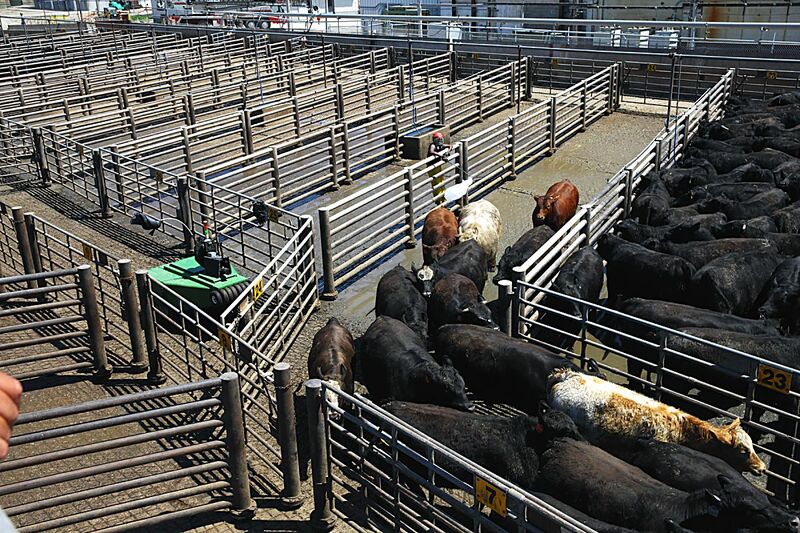 Employees operate the robots from a catwalk located above the pens, reducing safety risks by keeping those who work in the cattle yard portion of processing plants at a greater distance from the 1,300-pound animals. "The robotic cattle driver developed by Cargill is a major innovation in the handling and welfare of farm animals," said Temple Grandin, professor of Animal Sciences at Colorado State University. "This device will lead to huge strides in employee safety while moving large animals and reducing the stress on cattle across the country." Cargill Protein spent two years developing the prototype, with significant input from animal welfare experts including Grandin, beef plant employees and engineers from equipment supplier Flock Free. Using waving automated arms, blowers and audio recordings to move cattle in a desired direction, the robots can operate in rain, snow or mud, with no delay in daily operations. Testing was conducted at Cargill's Wyalusing, Penn., and Schuyler, Neb., beef processing facilities to determine a design and operational attributes of the robot that would effectively improve animal welfare and employee safety before being implemented at the company's U.S. and Canadian beef plants. 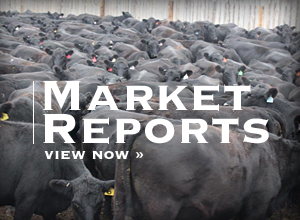 "The average bovine weighs almost three quarters of a ton, and our plant processes several thousand head of cattle daily," said Sammy Renteria, general manager of the Cargill beef plant in Schuyler, Neb. "This innovation provides a much safer workplace for our employees and allows them to develop new technology expertise as they manage and operate the robot." 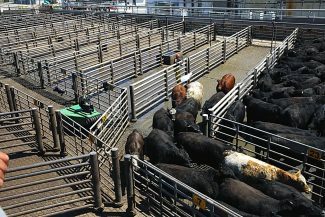 The robotic cattle drivers are currently being implemented at Cargill Protein beef plants in the U.S. and Canada. They are manufactured by the New Jersey-based company Flock Free. Cargill believes the robotic cattle driver has multiple applications for improving animal handling and worker safety across livestock and poultry supply chains and is working toward making them available for use throughout the industry.